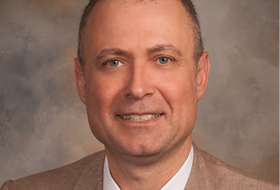 Dr. Orhan Konez is a board-certified radiologist and also holds a certificate for added qualifications in Vascular and Interventional Radiology. He is particularly experienced with diagnostic work-ups for vascular anomalies and minimally-invasive therapeutic techniques (embolization and sclerotherapy) that are commonly used for vascular anomalies. Dr. Konez completed a diagnostic radiology residency in Canton, Ohio at a North Eastern Ohio Universities College of Medicine (NEOUCOM) radiology residency program in 2000 following completion of research MRI fellowships at the University of Washington, Seattle, WA and at the William Beaumont Hospital, Royal Oak, MI. He became a board certified diagnostic radiologist in 2000. Upon completion of his residency, he began a fellowship at the Children’s Hospital, Boston, MA in Vascular and Interventional Radiology, where he worked with Dr. Patricia Burrows extensively in the treatment of vascular anomalies. During his fellowship, he was actively involved with the Vascular Anomalies Clinic working closely with Drs. Mulliken, Folkman, Fishman, Upton and others. Upon completion of his training, Dr. Konez was recruited by Beth Israel Deaconess Medical Center as an Interventional Radiologist where he worked for one year. During this time, he also worked at the Children’s Hospital Boston treating vascular anomalies. Subsequently he was recruited by the Cleveland Clinic Foundation where he served as the director of the Vascular Anomalies Team until 2005. Dr. Konez recently accepted a new position at St. John West Shore Hospital, Westlake, Ohio (Sisters of Charity of St. Augustine Health System and University Hospitals Health System, Cleveland) as a Medical Director of the Vascular and Interventional Radiology service, where he specializes in caring for children and adults in the diagnosis, management and minimally invasive therapy of vascular anomalies. Dr. Konez has recently relocated to Washington State. For more information, please visit http://www.birthmarks.us, and for consultation, please visit http://www.birthmarks.us/contact.htm and follow the instructions.